Turn your eyes to the East and embark with us upon a mystical adventure of beauty, surrealism...and perhaps even a little vodka. 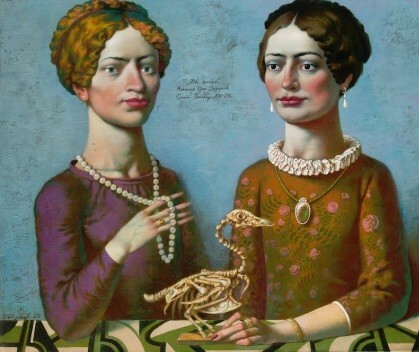 Our sixth annual exhibition of some of Russia's finest contemporary art is about to arrive in Cheltenham. On show will be work by acclaimed resident painters Iryna Yermolova, Sergej Ovcaruk, Katya Gridneva, Olga Simonova and - for the first time - Oleg Dozortsev. 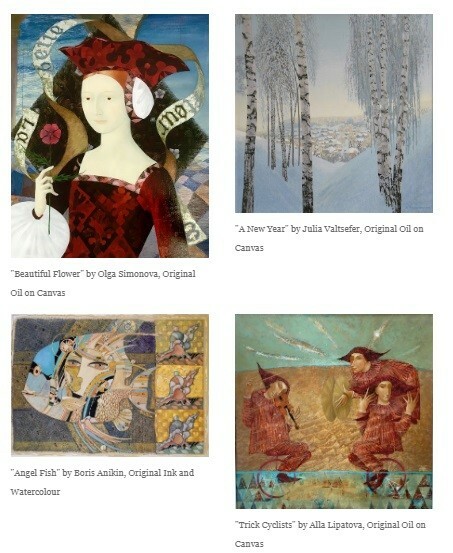 We will also be displaying a fabulous array of pieces by guest artists Boris Anikin, Julia Valtsefer, Kirill Gorodetsky, Nikolai Reznichenko, Alla Lipatova, Roman Opalinski and Nikolai Romanov. We hope you can join us for the private view but if you're unable to make it, please don't hesitate to request a digital exhibition catalogue. The exhibition will continue until Saturday 2nd March.